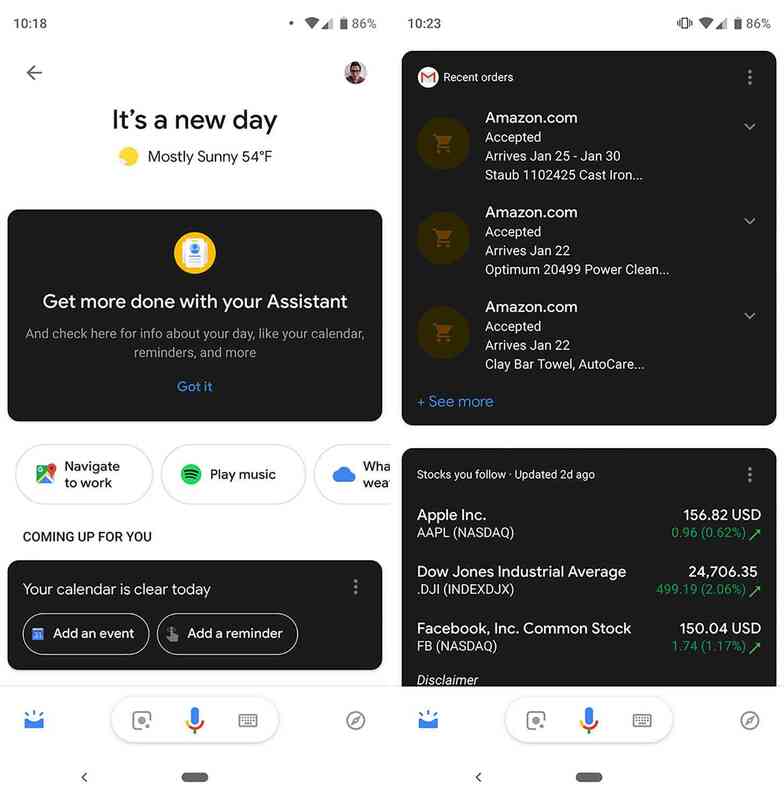 Google Assistant finally receive dark mode as said earlier, though its not a news again because this have been on the pages and users have been expecting as well. I'm sure we all know the Google Assistant with clear white background but Google has decided to bring a little change in order to save battery and to enable user to use in the night. Happy enough Google hasn't give the whole app background dark but only the cards are dark. It's possible that Google will tweak this design or get rid of it altogether, but right now this Google Assistant dark mode looks a little strange. It's nice to see Google extending dark mode to another one of its apps, but this mix of light and dark backgrounds doesn't look great and likely doesn't give you the full effect of the battery savings that having an all-dark layout would give. It nice seeing this update but not sure if user will be satisfy with this, it should have been better all alone light background or dark background, Google should have enable switcher button that allow user to switch either to light or dark background rather than mixing them together. Let see what happen soon but for now this is what Google has in it update. It is definitely comfy and quite easy to use.